I was at this and I remember being really surprised at his insights. He was very humble and introspective about playing in general and his playing specifically. I also was impressed with his drumming. That was a great posting. Who'd of thunk that Brecker could sound so dark, when I'm used to hearing his bright tone infect my ear drums. His thoughts on playing music were pretty interesting. Nice and simple. This is priceless!!! Thanks Nathan and Dave. Am I correct in guessing the "Donny" he called out at the end was our boy? wow, thanks a lot for sharing this. Much appreciated. 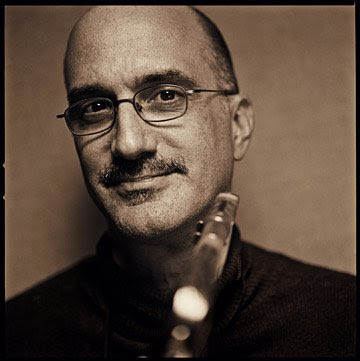 Mike Brecker was indeed calling upon Donny McCaslin who was standing in the doorway, but I think maybe he did not have his horn with him. At that time Donny was kind of the tenor player on campus. There were others good players as well, but I guess Mike had heard about Donny. Ole Mathisen the student sax player on the tape may have been from Norway. He turned out to be a very fine player. N.K.